Today on the blog, we're highlighting our discussion on one of event fundraising's most frequently asked questions: How many items should be included in a live auction? Read on for 5 proven tips to unlock the perfect number of items for your fundraising live auction. If you're including an auction in your upcoming event, this information is for you! If your event is on the newer side, it helps to know what other fundraisers in your region are doing, and what your audience is used to. If you're part of an association, Facebook group or just know others working in the nonprofit space, try finding out what's worked for them. Tip 2: Keep it short. 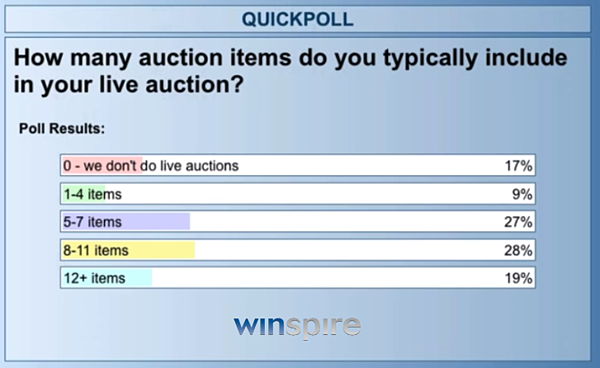 In a previous Winspire webinar, benefit auctioneer Renee Jones generously shared practical tips to maximize live auction revenue. 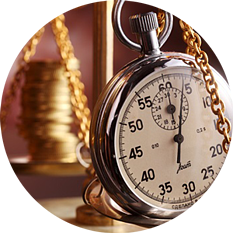 One topic we discussed was live auction size, and the importance of respecting guests' time. "If you've successfully procured high value items, most people won't get a single bid in," notes Jones. "Since live auctions typically have exclusivity that will cut out 80-90% of your audience, you need to be mindful of your guest’s time and fatigue." Look for ways to entertain and keep all guests engaged - not just those bidding in the live auction. Tip 3: Allot time, then work backwards. "I always ask my development leaders and special event leaders that are handling this to look at the event timeline and go backwards," advises Jones. "Whether you've procured $50 items or $50,000 items, they should typically sell in two to three minutes per item." That means 10 items takes a half hour, while five items takes 15 minutes. For a ballpark range, many nonprofits aim to sell as many auction items as possible in under 45 minutes. The goal is to keep things in a very quick, concise fashion of selling, and keep the energy level high throughout the night. Tip 4: Be mindful of your other investments. "If you're paying for, say, 3 hours of entertainment from a DJ or a band, the worst thing that can happen is having a live auction that runs an hour plus," Jones warns. "Let's say I'm not supposed to be taking the stage until 9pm to conduct a live auction. I have six items to sell, which is 18 minutes. If the event is done at midnight, and you've paid for a band for three hours, then we have to look at making adjustments to be able to accommodate that. This might mean moving the auction earlier. 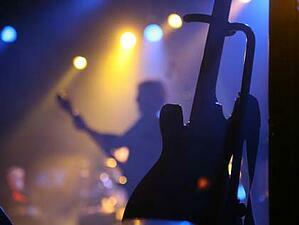 I don't want your financial investment in the entertainment getting cut down," says Jones. 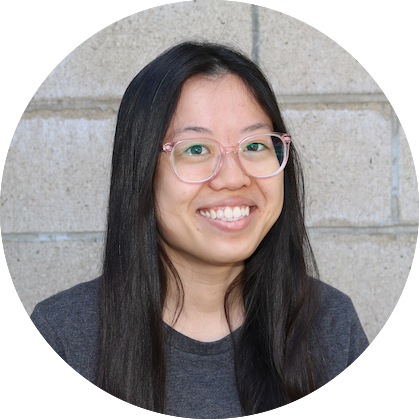 "My rule of thumb: Get all of our fundraising done early in the evening and then allow the party to continue after the funds have been collected." Tip 5: Factor in your direct appeal. Don't forget your other fundraising heavy hitter of the night: the fund-a-need, or direct appeal. This typically involves showing a 2-3 minute video or having a speaker briefly share their story, before making the request for donations. 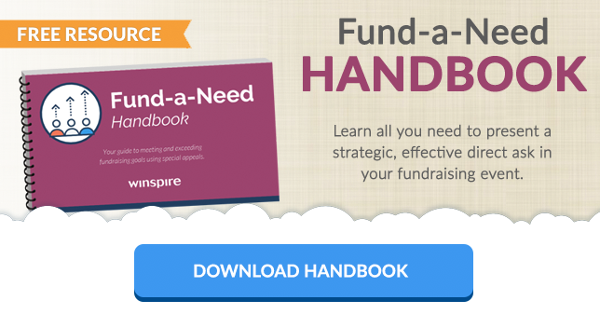 This is typically conducted by the fundraising auctioneer in conjunction with (either before or after) the live auction, so you want to plan enough time for a strategic, momentum-filled appeal. 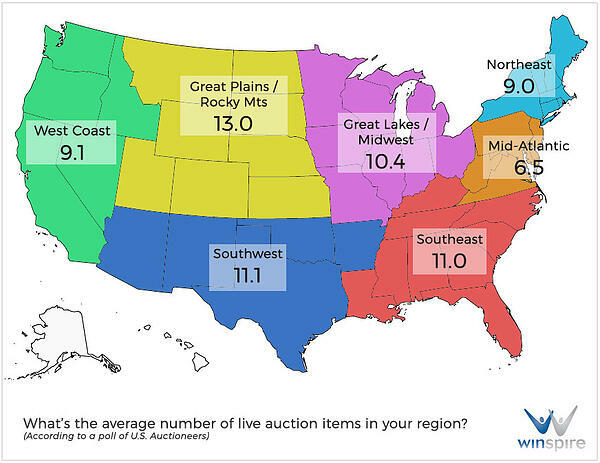 Your turn - How many items have you found maximizes revenue from the live auction? Let us know in the comments below.